Last summer, we sent the Trudeau family a very special care package. We included some of our casual and athletic wear and a letter explaining our brand and our founding story. We’re built on celebrating our country and spreading happiness, after all. Who better to share that joy with than our Prime Minister and his family? Not long after, we received this lovely handwritten note from Sophie herself expressing her support for us and we were absolutely thrilled. 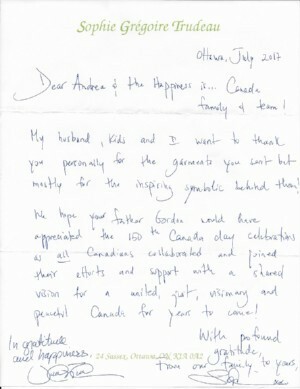 We knew the First Family of Canada would be wearing our stuff and sharing their happiness no matter where they went. And now we know they’re loving their Happiness Is Inc. gear! 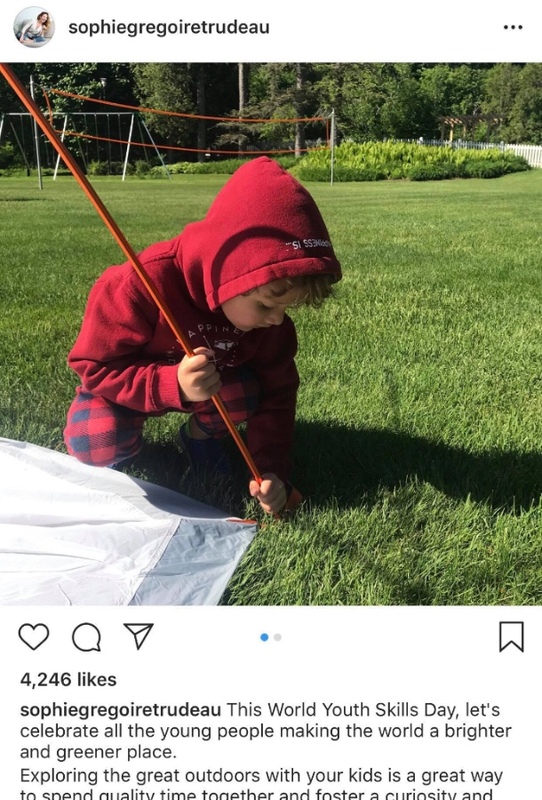 Sophie Grégoire Trudeau posted this adorable pic of her son, Hadrien, sporting a Red Crest Hoodie in honour of World Youth. We’re all about getting outside and teaching kids about the great outdoors and learning new skills while they’re at it. Thank you, Sophie, for including us in your message!